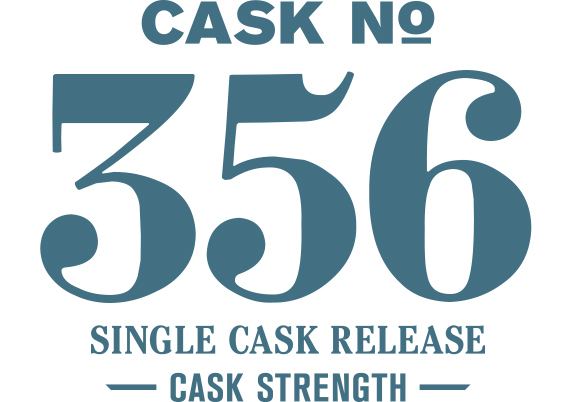 This Single Cask Release is one of the very few ex-bourbon casks filled with our 5-malt grain bill available for bottling at the time of release. At cask strength in particular, this whiskey can be aggressive, but reveals a lot once diluted. The nose is very malt focused with Cocoa Puffs cereal, peanut butter and ginger bread. The palate continues that theme with loads of ginger bread and dark chocolate throughout. Water additions bring some fruits into the mix—banana and rainier cherry—although the focus remains locked on the dark roasted malts. The palate has a creaminess with water dilution that combines the dark chocolate element with bananas foster.